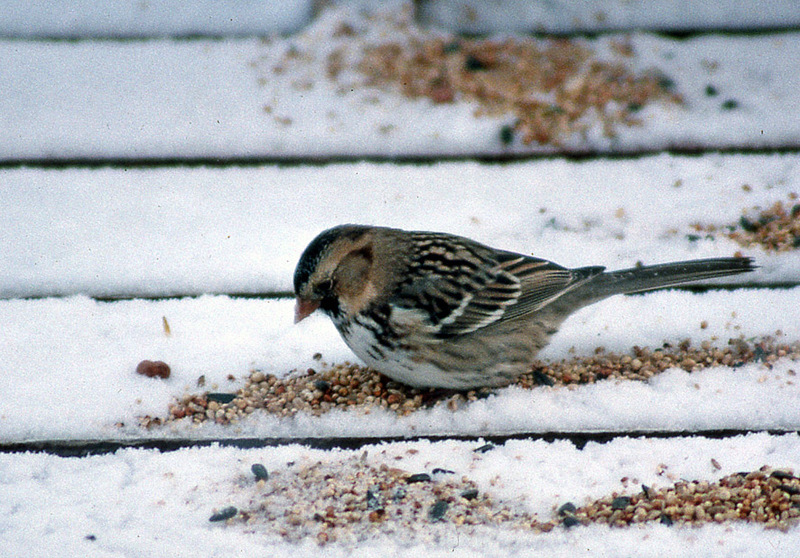 This Harris’s Sparrow, visiting a backyard in Manuel’s, Conception Bay South during the winter of 1993-94, represents the only record of this western rarity. Origins: Breeds only in the stunted boreal forests of northern Canada (Northwest Territories, Nunavut, northern Saskatchewan and Manitoba), wintering in the central United States. It is a rare visitor to the east coast. Record Details: One record for Newfoundland – an individual present at a feeder in Manuels, Conception Bay South from December 23, 1993 – February 5, 1994.